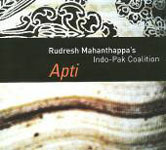 Rudresh Mahanthappa's previous quartet album, Mother Tongue (Pi, 2004), explored the transposition of Indian dialects into the structural frameworks of acoustic jazz. Codebook builds on the alto saxophonist's previous work by incorporating aspects of cryptography into his new compositions. 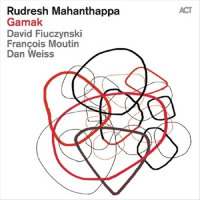 He's joined by his regular foil, pianist Vijay Iyer, as well as his usual quartet bassist, François Moutin. Mahanthappa also invites new drummer Dan Weiss into the fold. Opening with the blistering assault of "The Decider," Mahanthappa demonstrates potent virtuosity and a mischievous streak courtesy of his topical titling choices. But the thematic source behind the music is far more esoteric than armchair politics. The tune's intricate structure is based on the Fibonacci sequence, an infinite series of integers used by classical composers ranging from Bach to Bartok. Such potentially restrictive compositional models are rarely used by jazz musicians. But Mahanthappa, like his innovative peer, Vijay Iyer, is no typical jazz musician. Mahanthappa composed the entire album around such cyclic processes, using Simon Singh's history of cryptography, The Code Book, for inspiration. "Play It Again Sam" features the entire quartet using Morse code to spell out their names with a sequence of musical dots and dashes. Even more intricate is Mahanthappa's "Frontburner," a visceral re-interpretation of John Coltrane's "Giant Steps." Using the tune's title and scales drawn from the piece's chord changes as ciphers to encrypt the song's base melody, Mahanthappa arrived at a knotty, turbulent variation on the classic. "Enhanced Performance" is representative of the album's versatility, modulating from one cell-like section to another. Varying tempos, rhythms and dynamic inflection, the quartet switches gears between spacious, casual swing, pneumatic M-Base funk and frenetic bop. The majority of the tunes flirt with abruptly surging, propulsive energy. Even the album's introspective moments periodically veer off into vociferous excursions. Navigating a labyrinthine maze of interlocking cyclic structures, Mahanthappa's tart alto spews forth turgid coils of sound while the rhythm section alters tempos with metric modulation. 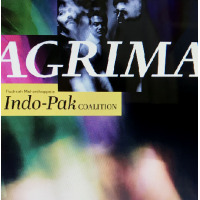 A sincere collaborator, Mahanthappa provides ample solo room for his talented comrades, and Iyer matches the leader's caustic wit in equal measure. 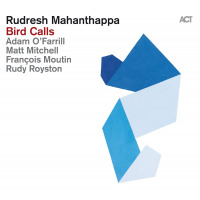 Despite the high-minded concept underscoring the album's intricate compositions, Mahanthappa's quartet fulfills its primary goal: to swing creatively, with passion and conviction. Codebook is a wonderful addition to its ever growing body of work. Track Listing: The Decider; Refresh; Enhanced Performance; Further and in Between; Play It Again Sam; Frontburner; D (Dee Dee); Wait It Through; My Sweetest. 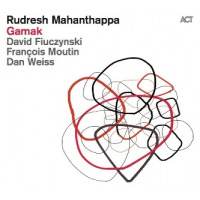 Personnel: Rudresh Mahanthappa: alto saxophone; Vijay Iyer: piano; Francois Moutin: bass; Dan Weiss: drums.